From the classroom to mainstream media, Christians regularly find their fundamental beliefs discounted by opponents who consider faith to be incompatible with reason. But in this apologetics primer, the late R. C. Sproul sets forth the core claims of faith to reveal just how rational Christianity truly is. Surveying the history and fundamentals of apologetics, this book demonstrates how reason and scientific inquiry actually support Christianity's claims--thus equipping believers to defend the existence of God and the Bible's authority. Redesigned. Whether you want to grow in your own understanding of Christianity or need trustworthy responses to the questions of friends, Dan Story has the answers. Defending Your Faith helps Christians see that their faith is reasonably and intelligently grounded on objective, verifiable evidence. And it equips readers to share these answers with family, friends, and coworkers who have questions about Christianity. - How do I know that God exists? - Can I trust the Bible? - Why is there evil and suffering in the world? - Is God an environmentalist? - Are the Bible and science in conflict? In this revised and expanded edition, Dan Story goes even further. With the latest apologetic evidence and tactics, he not only answers those age-old questions but also deals with new challenges to Christianity that have emerged over the last two decades, including the ubiquitous presence of social media. He also responds head-on to the new breed of vocal, aggressive, man-on-the-street atheists. With culturally relevant strategies and a firm foundation of truth, Defending Your Faith will challenge you to share your faith with others while knowing that you are not alone as you witness for Christ. Defending Your Faith is designed to help both Christians and non-Christians alike see that Christianity is a reasonable and intelligent faith grounded on objective, verifiable evidence. Some of the questions discussed are: How do I know that God exists? Can I trust the Bible? and Why is there evil and suffering in the world? Determined to Believe? is written for those who are interested in or even troubled by questions about God's sovereignty and human freedom and responsibility. John Lennox writes in the spirit of helping people to come to grips with the biblical treatment of this issue for themselves. In this comprehensive review of the topic of theological determinism, Lennox seeks firstly to define the problem, looking at the concepts of freedom, the different kinds of determinism, and the moral problems these pose. He then equips the reader with biblical teaching on the topic and explores the spectrum of theological opinion on it. Following this, Lennox delves deeper into the Gospels and then investigates what we can learn regarding determinism and responsibility from Paul's discussion in Romans on God's dealings with Israel. Finally Lennox tackles the issue of Christian assurance. 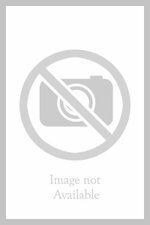 This nuanced and detailed study challenges some of the widely held assumptions in the area of theological determinism and brings a fresh perspective to the debate. How does Christian theology relate to scientific inquiry? What are the competing philosophies of science, and do they "work" with a Christian faith based on the Bible? No reference work has covered this terrain sufficiently--until now. 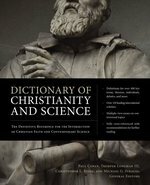 Featuring entries from over 140 international contributors, the Dictionary of Christianity and Science is a deeply-researched, peer-reviewed, fair-minded work that illuminates the intersection of science and Christian belief. In one volume, you get reliable summaries and critical analyses of over 450 relevant concepts, theories, terms, movements, individuals, and debates. You will find answers to your toughest questions about faith and science, from the existence of Adam and Eve to the age of the earth, evolution and string theory. Get answers to the difficult questions surround faith and science! Continuing where Did Adam Have a Bellybutton?, Did Eve Have an Extra Rib? is filled with questions taken directly from Ham's nationwide radio program. He answers each with rapid-fire delivery and accuracy. More faulty information about God swirls around us today than ever before. No wonder so many followers of Christ are unsure of what they really believe in the face of the new spiritual openness attempting to alter unchanging truth. For centuries the church has taught and guarded the core Christian beliefs that make up the essential foundations of the faith. But in our postmodern age, sloppy teaching and outright lies create rampant confusion, and many Christians are free-falling for "feel-good" theology. We need to know the truth to save ourselves from errors that will derail our faith. Is God changing His mind about "sin"? Why is hell off limits for many pastors? What's good or bad about the "dangerous" emergent movement? Have Christians stopped seeing God as God? Is the social justice movement misguided? Could the role of beauty be critical to our theology? Is liberal faith any less destructive than atheism? Are churches pandering to their members to survive? In the age-old battle to preserve the foundations of faith, it's up to a new generation to confront and disarm the contemporary shams and fight for the truth. Dr. Mohler provides the scriptural answers to show you how. 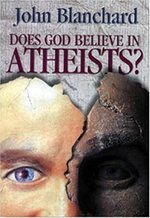 Does God believe in atheists? With deep insight and cogency, British author John Blanchard challenges atheists and agnostics while helping believers to defend their faith. A landmark book that's destined to become a classic. EVIDENCE FOR THE RESURRECTION OP! When Jesus died on the cross, it seemed that all had been lost. Death had won. But after three days in a rich man's tomb, Jesus appeared...alive! The news was so shocking that His followers refused to believe it until they saw Him with their own eyes and touched His wounds with their own hands. Then Jesus made an amazing claim: In the future, they too would have resurrected bodies like His, bodies that would never deteriorate, age or perish. They would have new life without death or pain in the presence of a loving God forever. But can we really believe His promise? For that matter, can we really believe that the promise was made by a Man who rose from the dead? In this fascinating look at the claims of the Gospel writers and 2,000 years of believing Christians, bestselling author Josh McDowell and his son Sean examine the compelling evidence and conclude that Jesus Christ conquered death and the gravel in clear, concise and accessible chapters, Josh and Sean present the fact s about the resurrection and what it means for readers today. Readers will find author Kenneth Poppe a knowledgeable, easy-to-follow guide as he focuses on the origin and nature of the species called "Homo sapiens"--man. Presented with energy and humor, this up-to-date resource pulls no punches in its conclusion. All aspects of humanity that make us unique among life-forms, argues Poppe, were designed and implemented at the will of a supernatural Being. This is where the evidence points. "Highly readable for anyone with a general background and superb for students and parents, as well as homeschoolers and educators who wish to present a complete picture of origins science."